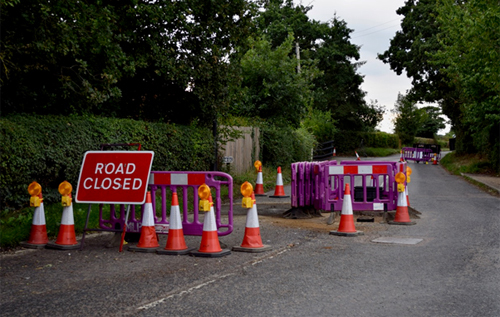 Reepham is facing another road closure on Wednesday 12 September. The latest temporary traffic order will affect Dereham Road from a distance 400 metres west of its junction with Park Lane (opposite Vale Cottage, Hackford) for a distance of 50 metres westwards. The road will be temporarily closed (except for access) for the duration of work by BT Openreach, which is expected to last for one day. Norfolk County Council has published a list of alternative routes. 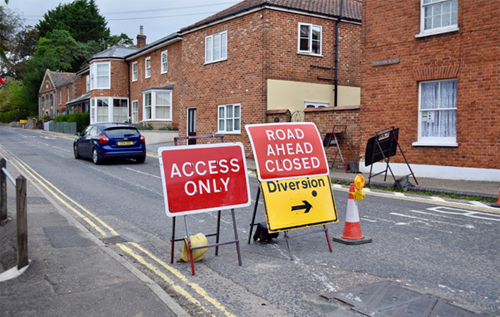 This latest traffic disruption comes less than a month after the previous road closure, which ran from 17-22 August, causing chaos, with retailers in Reepham reporting a loss of business owing to the confusion caused by the diversion signs. According to roadworks.org, the Dereham Road/Park Lane junction was due to have a traffic control in place during the six-day period for carriageway patching works – but no full road closure. However, a later posting indicated that Dereham Road would be closed for “emergency fire hydrant repair”, which suggests an unforeseen event with no time for any prior notification of the closure. Diversion signs hastily appeared on main roads from the Cawston roundabout on the B1145 and from the A1067 at Guist towards Holt, with no indication as to where the actual road closure was situated. There was also no suggestion that the carriageway patching was actually carried out on Dereham Road. It is also reported that the road was never physically closed and many people simply drove around the barriers.